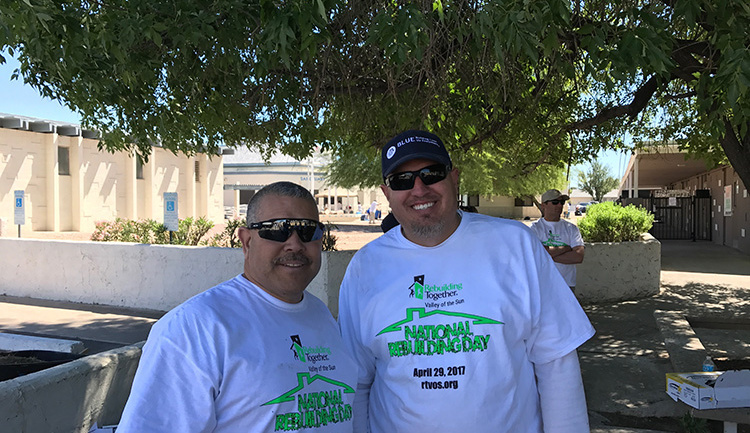 On Saturday April 29th, RTVOS and hundreds of volunteers from around the valley culminated National Rebuilding Month by kicking off ‘Elevando Maryvale’! Elevando Maryvale is an ambitious five-year plan to elevate Maryvale Village in Phoenix with a goal to restore social, health and economic equity to its proud residents. Our plan works from the inside out to rebuild strong, diverse, safe, and vibrant neighborhoods through the rehabilitation of existing owner-occupied homes and the revitalization of schools and community spaces. Our five-year revitalization effort includes plans to provide free critical home repairs/rehabilitation for 50 very-low to low-to-moderate income homeowners; park, playground and sports field renovations; and physical upgrades to schools, churches, and club facilities. 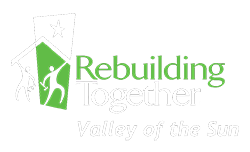 Using strong community partnerships, this is a coordinated and collaborative approach between RTVOS, local residents, council members, municipalities, nonprofits, businesses, foundations, and other organizations designed to create and sustain a safe, healthy and thriving community. 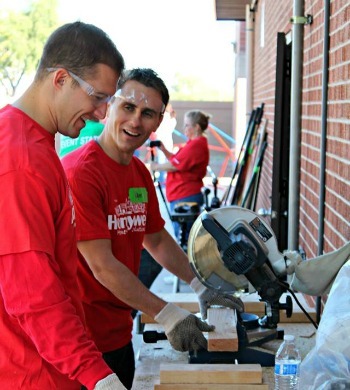 Thank you to all of our corporate partners, volunteers and staff who started the transformation in Maryvale.